Faith Christian Fellowship is a non-denomination church located in the heart of Racine, Wisconsin. 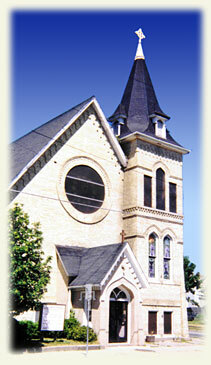 We were founded in February of 1992 by Bishop Sheila Nienhaus. Today Bishop Nienhaus and her husband Co-Pastor Todd Nienhaus, along with a strong ministerial staff, are dedicated to teaching and preaching God’s word to the community. We don’t hold back on the truth. We believe in the tremendous power that God’s love and grace have through the Holy Spirit to transform people’s lives. We believe that the acceptance of Jesus Christ into one’s heart is the way to achieve eternal and abundant life. We invite you to share this journey with us! Come visit our choir’s booth at the John Bryant Center on Juneteenth Day!!!! Let’s keep Elder Maurice Horton lifted up in prayer today as he hopes to solidify his spot as Racine’s District 7 A… t.co/ShqkWrQvcY Time ago 18 Days via Hootsuite Inc.
FCF Founders Day will be celebrated on February 7, 2016. Use a credit card or a Paypal account to contribute to the event. Thank you for your generosity! © 2019 Faith Christian Fellowship of Racine.